Jamyla Bolden's photo for a GoFundMe site created to pay her funeral costs. A private donor later stepped forward to pay the full amount. This summer in St. Louis has been marked by weekends of bloodshed, drive-by shootings and the killings of children caught in the crossfire. At least 159 people have been killed in the city and St. Louis County so far this year. 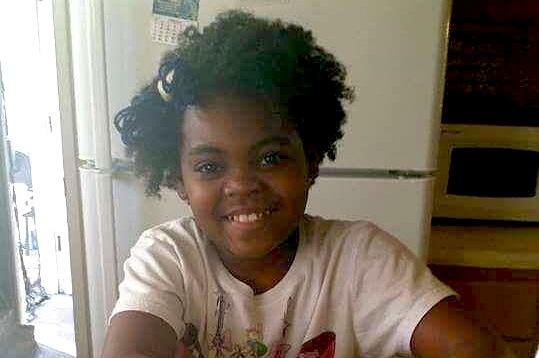 Jamyla, 9, died after she was shot while doing her homework in her mother’s bedroom. Her death has prompted calls across the region to control the area’s rising homicide rate. Listen: A public health perspective for an epidemic of gun violence. As always, opinions differ on how to do so. 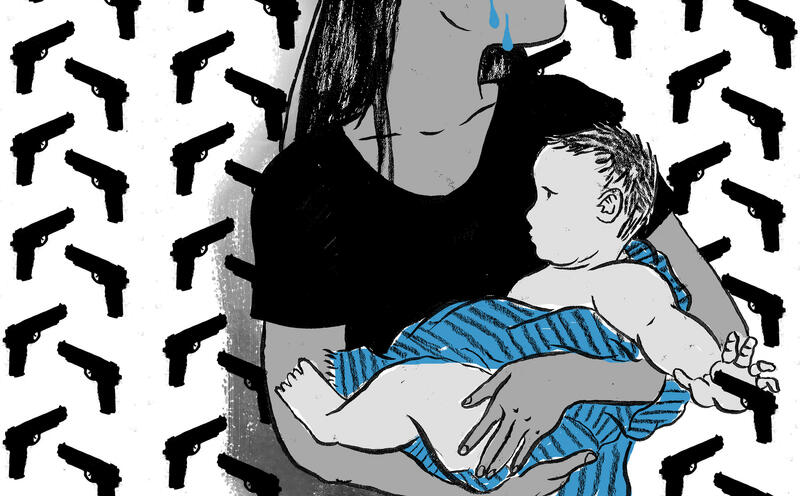 But one strategy with some promise uses theories from public health to reduce gun violence. Tracie McClendon-Cole, who directs one such program in Kansas City, says an epidemic of violent crime is a lot like cholera. “How you begin to identify the disease, interrupt the disease, provide alternatives, and then begin to change community norms, which are the pathways of public health, you begin to liken violence the same way,” McClendon-Cole said. McClendon-Cole’s program is Aim4Peace, which is run through Kansas City’s health department. The model treats the spread of violence like a disease: starting among a small group of people, and spreading outward. “We know that violence occurs by actual exposure to violence: childhood exposure, domestic violence, community violence exposure, and even including post-traumatic stress,” McClendon-Cole said. 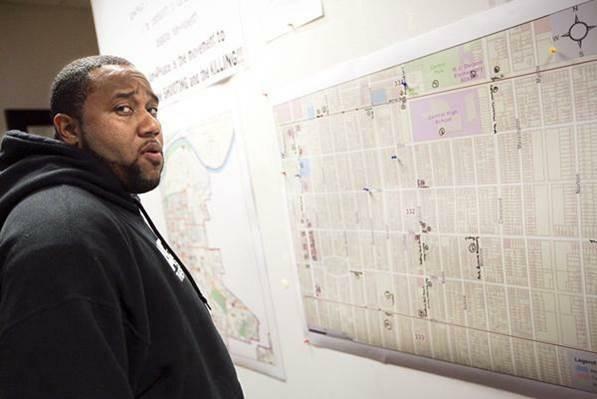 Rashid Junaid is the violence prevention manager for the Aim4Peace program in Kansas City. A major part of the program is what McClendon-Cole calls an “inoculation” in the cholera metaphor. Aim4Peace counselors like Rashid Junaid, go into hospitals to meet with the friends and family of a victim after an attack to try and stop retaliatory violence. Junaid says there’s an hour-long period after a crisis when people are more open to hearing what he has to say. “We engage those young people with a conversation of responsibility, consequences, hope. [Counselors] try to change their mentality through persuasion, its evidence in terms of our own lives and how we’ve lived our own lives previously, and the consequences that we’ve solved,” Junaid said. The Aim4Peace program operates on a three-year, $1.2 million grant from the U.S Department of Justice. Supporters credit the program with a 28 percent decrease in homicides last year in Kansas City. The idea of preventing violence by meeting with people on the ground level isn’t new. In St. Louis, Better Family Life has tried it out with a pilot program, and a local church is sponsoring a violence interruption training for residents this week. Washington University has launched a year-long initiative to study gun violence as a public health crisis, in the hopes that gun deaths can be reduced the same way seat belts and driving tests reduced the frequency of fatal car crashes. On the law enforcement side, St. Louis Police Chief Sam Dotson’s attempt to hire 160 additional officers has yet to be passed by the city’s Board of Aldermen. During a recent appearance on St. Louis on the Air, Dotson said any conversation about gun violence has to include a conversation about guns. Dotson then put out a call for the city to pass specific gun laws that are stronger than legislation covering the state of Missouri, which is particularly lax when it comes to gun purchases and ownership. A peek at “ArmsList,” an online classifieds listing for firearms, shows just how many guns are available for sale in St. Louis alone. According to the sheriff’s office, 5,610 residents in St. Louis are licensed to carry concealed handguns. That doesn’t include owners of rifles and shotguns because they don’t require a license. But McClendon-Cole of Aim4Peace rejects the idea that gun control should be the first step forward. She says it’s more about changing a person’s mindset, and restoring faith in the justice system, so people don’t resort to violence to solve disputes in the first place. “What we’re trying to get to is, not just the access to guns, but really looking at what is the mental state, what is the emotional space that we can begin working on the behavior, that would make it less likely that you would resolve your conflict in a lethal manner,” McClendon-Cole said. That feeling of desperation is something Christi Griffin of the Ethics Project says is all too common in St. Louis. Two neighborhoods, Wells/Goodfellow and The Greater Ville, have seen a dozen murders each in 2015 alone. "We have now generations of children who are living with the fear of not being able to go outside and play, not being able to walk to school and feel a degree of safety," Griffin said. Griffin said she speaks in St. Louis high schools and often poses a question: Do you know someone who has been murdered? In some classes, every single hand goes up. "Right now, [the system] is designed not to work to protect the African-American community, which sends a message to these young men, you are not valued in this society, you are not a valued human being. Why would they value someone else's life?" Griffin said. "It simply is never going to be sufficient to just make these kinds of verbal appeals. We have to be able to address the causes of the problem, we have to regain respect for our system." A panel of community organizers, anti-violence experts and Washington University professors are seeking solutions to reduce the number of shooting deaths by identifying gun violence as a public health crisis.